President Trump said Monday that he believes Cuba is to blame for acoustic attacks on U.S. diplomats in Havana. 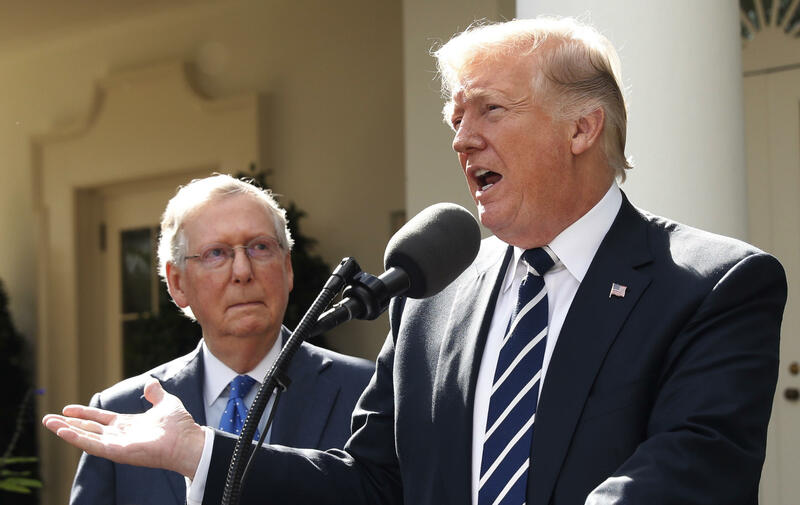 "I do believe Cuba is responsible," Mr. Trump said, at an impromptu news conference with Senate Majority Leader Mitch McConnell in the Rose Garden at the White House Monday. At least 22 Americans have suffered from mysterious acoustic attacks during stints in Havana over the past year. One of the victims told CBS News last week that the U.S. response had been poor and their complaints had been ignored by senior embassy leadership, CBS News Steve Dorsey reported. Some of the diplomats were later diagnosed with conditions as serious as mild traumatic brain injury and possible damage to the central nervous system. Until Monday, the U.S. had not publicly blamed Cuba for the attacks but had said that Havana has not met its international oblications to protect diplomats. Earlier this month, the U.S. issued a travel warning for Cuba and announced it would expel 15 Cuban embassy officials from Washington. A state department spokesperson tells CBS News: "We are not aware of direct responsibility but Cuba has a responsibility under the Vienna Convention to protect our diplomatic staff. That has not changed."